Passionfruit vines grow well in Canberra, especially on a protected sunny wall. Last year we had a bumper crop of over 100, so I froze the pulp in ice cube trays. It freezes beautifully and when thawed is hard to distinguish from fresh pulp. Unfortunately our passionfruit vine has since died – apparently they only last a few years – so we have just planted another one. Planning a dinner party I suddenly remembered the huge sack of passionfruit cubes I have in the freezer and decided to make Neil Perry’s passionfruit Tart. Here is the recipe with a few slight adjustments of my own. For pastry place flour, icing sugar and butter in food processor. Process until fine crumbs, then add egg yolks and continue to process until mixture starts to form a ball. Tip out, form into a ball, wrap in plastic wrap and refrigerate overnight or at least an hour. For the filling, beat eggs with a hand whisk or fork – just to break them up thoroughly, not to gain any volume – then mix in remaining ingredients and refrigerate overnight. When you have strained the passionfruit pulp, if you find you don’t have quite enough juice you can add some lemon or lime juice to make up to 350ml. Keep the pulp to decorate plates when serving. Next day turn oven to 170°C. Spray a 25cm metal flan tin with fluted edges and a removable base with vegetable oil. 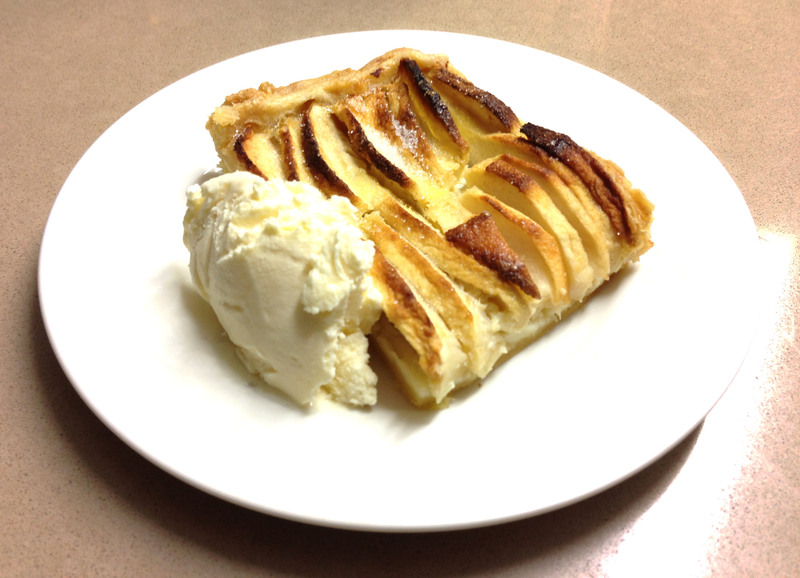 A ceramic dish won’t achieve the same crispness in the pastry. Make sure you thoroughly spray the fluted sides which will make it easier to remove. Roll out pastry thinly and use to line the tin, making sure you don’t stretch it, otherwise it will shrink in the oven and leave you with lower sides than you wanted. 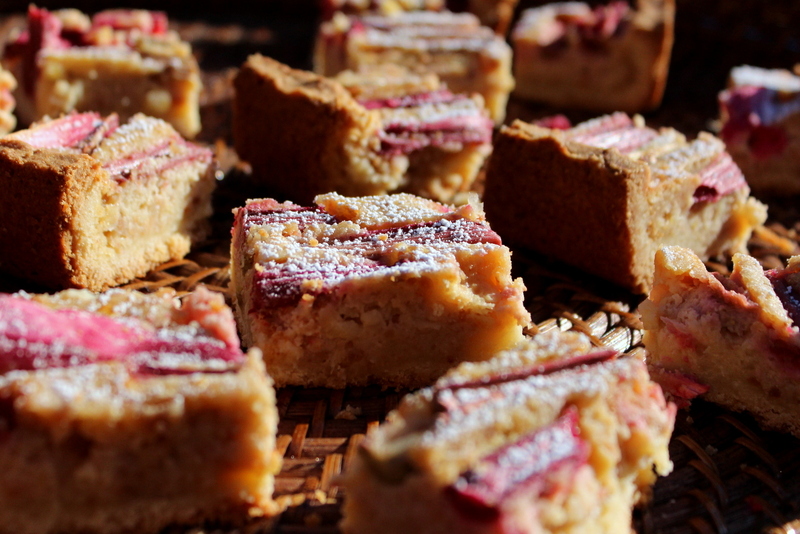 Refrigerate for half an hour then line with a piece of foil, pressing it gently to fit snugly into the pastry case. Pour in something to weigh it down – you can buy special metal “beans” for this purpose, but I use a packet of popping corn which I keep in a jar to use over and over again. Bake for about 15 minutes until the edges of the pastry are turning golden and the pastry has set, then remove foil and beans and bake for a further 10 minutes or so until golden all over. Turn oven down to 160°C. Carefully pour in the passionfruit filling. This is easier to do with the tart in the oven, so it doesn’t spill when you put it back in. Tart can be very full to just below the pastry edge. Any excess filling can be poured into a couple of small ramekins and baked with the tart – they won’t take long. Bake for 40 mins or until filling has set in the middle but is still very slightly wobbly when you move it. Remove from the oven and when cool refrigerate until serving time. To serve, carefully remove the sides from the tin – you may need to use a thin knife to loosen the edges of the pastry first. Using a sieve, shake icing sugar evenly over tart, then cut into portions and place on serving plates. Decorate each plate with a drizzle of passionfruit pulp and pass the cream separately. 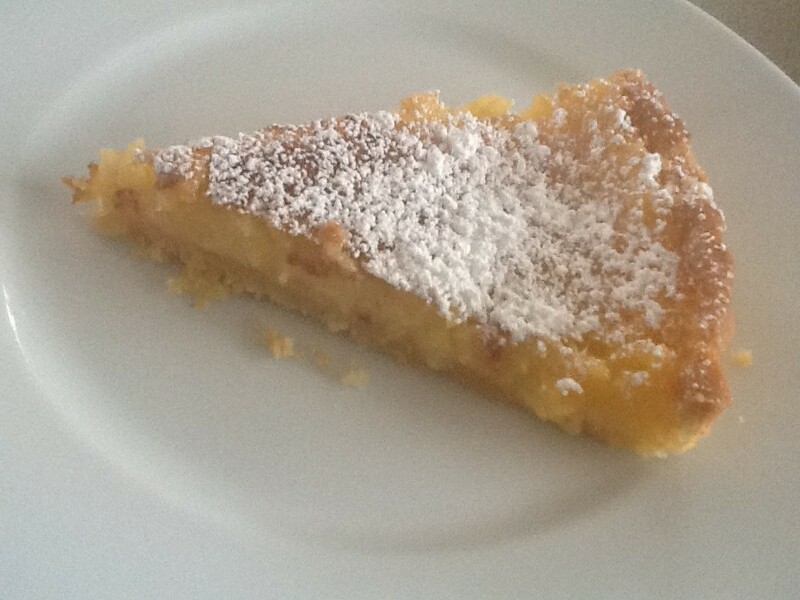 Variations: Lemon Tart or Lemon and Lime Tart – use 350ml strained lemon or lime juice or a mixture of the two instead of the passionfruit juice. 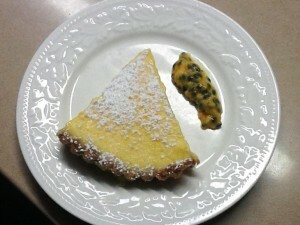 This entry was posted in Recipes and tagged dessert, passionfruit by Linda Peek. Bookmark the permalink. Good morning! Unfortunately, as you probably know, passion fruit is a rare fruit in Denmark. I am sorry about your tree giving up on you – could you grow another one? When I was living in Denmark if I ever saw passionfruit in the shops I bought a lot so you can do the same. Freeze in ice cube trays then you have some whenever you need it.